The other tables of content are for Folios 1 and 2 respectively. 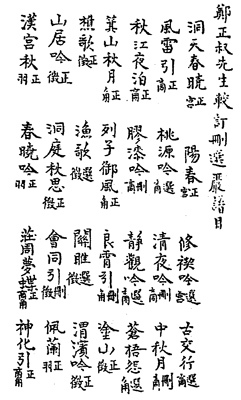 ToC for Folio 1 (XI/142): 11 pieces, all of which are included in the handbook. 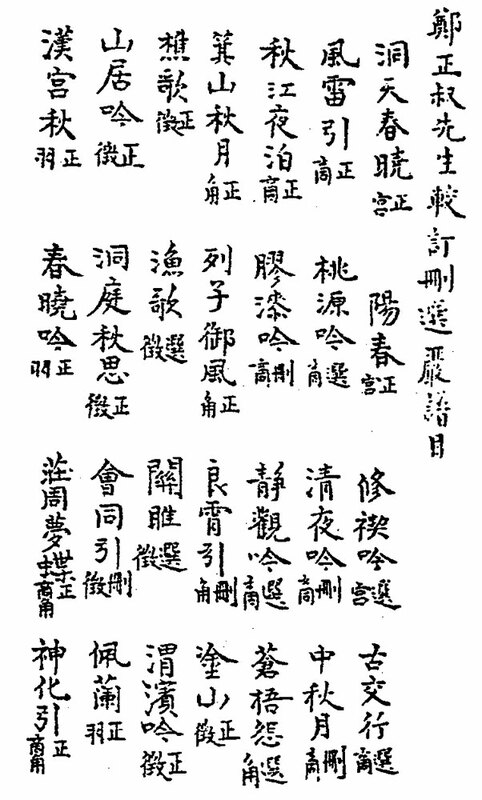 ToC for Folio 2 (XI/174): 26 pieces, but 11 are missing from the existing handbook. The following includes all the pieces from these two lists, including those that are missing from the handbook. 索雨歌; 何訂; lyrics; only here? 代淮南王二首; 何選; lyrics; only here?